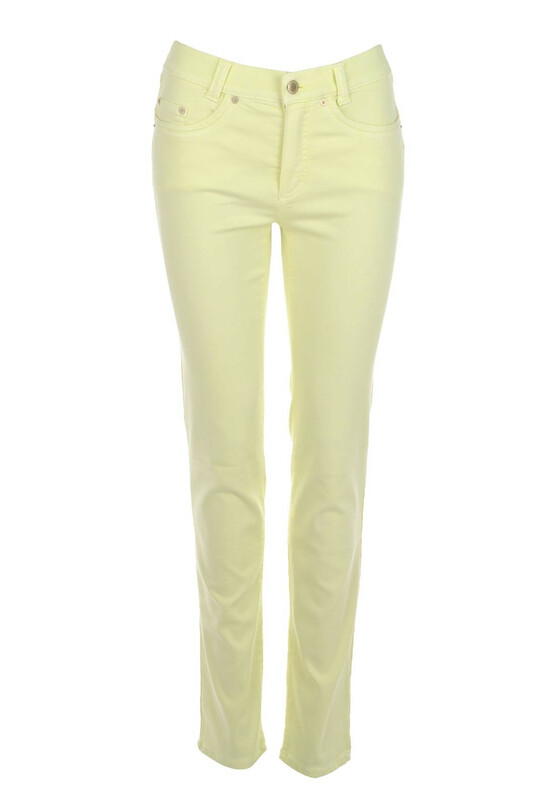 Presented in a feminine lemon yellow shade, the Angelika slim leg jeans are the perfect choice for meeting friends for lunch on sunny days. Made by Anna Montana with cotton rich fabric that has Super Stretch technology which show off your curves while providing great comfort. 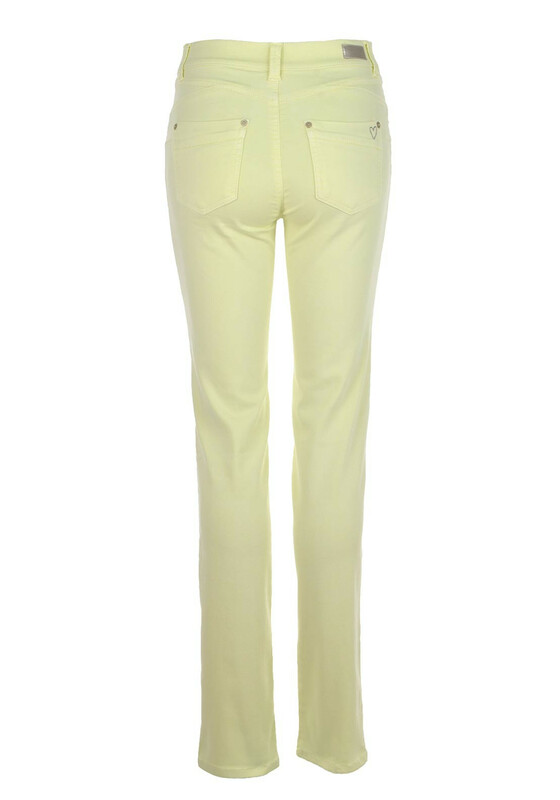 Design details include five pockets with a heart shaped diamante embellishment on the back pocket.